Are you a puzzle fan? Do you like to solve mysteries? Can you do it under the pressure of being locked in a room for an hour with a deadline to beat? I don&apos;t know about you, but I love to work under deadline and that sounds like a ton of fun. Epic Escapes recently opened in Cheyenne and today&apos;s Wyoming Tribune Eagle has a nice feature about the concept. 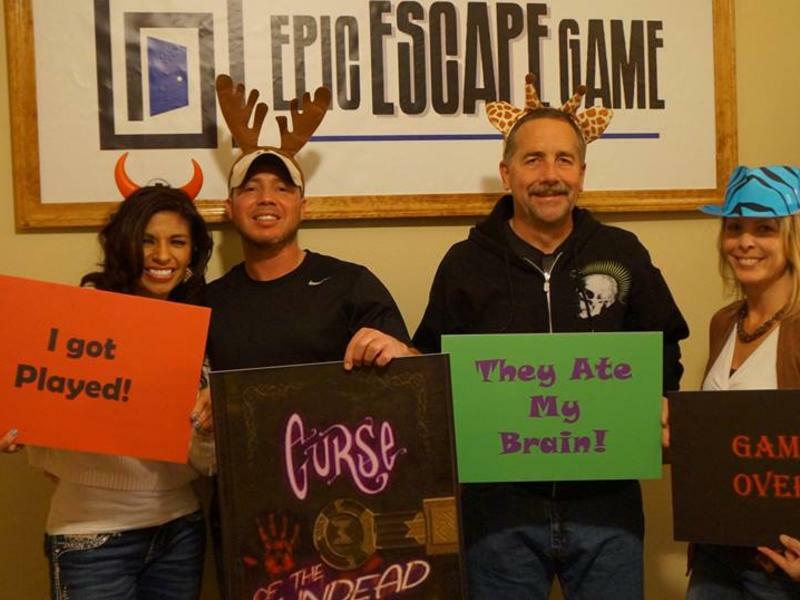 "The business in Cheyenne, which opened in early December, contains four escape rooms: Curse of the Undead, Myth of the West, Countdown 2 Kickoff and Clued In. Tickets are $27 per person and games can be booked online at www.epicescapegame.com. Up to eight people can be in a group at one time. Curse of the Undead deals with a virus called “Curse,” and the group in this room will have to work to get out before zombies descend on them. Myth of the West is more historical, putting you into an old west-style room where a group will work to break out of the “Cheyenne Saloon.” According to Troudt, it was created specifically for Cheyenne, while adding some wild west history to go along with the fun. Countdown 2 Kickoff puts you in a football coach’s shoes while trying to get out in time for the big game. Finally, for Clued In, you’re locked in a room designed like a toy store, where you have become a part of the board games. In their opinion, the Clued In room is the most challenging, but the Curse of the Undead might give it a run for its money. Myth of the West and Countdown 2 Kickoff are a little easier. The most clues a room could have is 14, which Troudt said would amount to spending around four minutes on finding each clue. “You don’t think of anything else except the game,” Ramirez said." This looks like the perfect way to spend an afternoon, or a rainy day with friends or family. Check out their webpage for all the details and let us know how you make out!